Have you ever needed to write a quick script to download data from Shodan? Or setup a cronjob to check what Shodan found on your network recently? 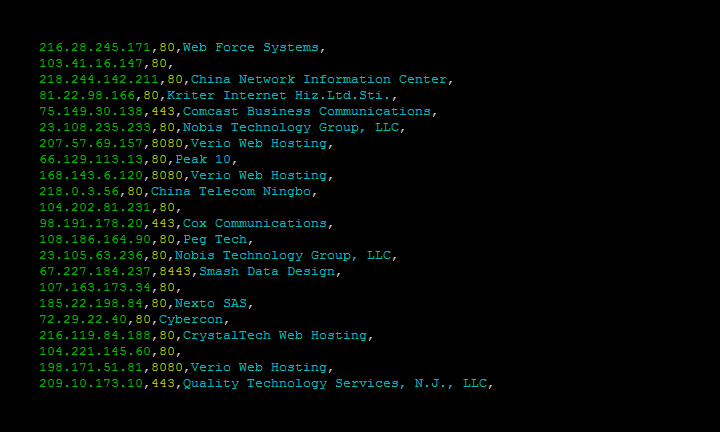 How about getting a list of IPs out of the Shodan API? For the times where you’d like to have easy script-friendly access to Shodan there’s now a new command-line tool appropriately called shodan. At the moment, the shodan CLI supports 6 commands. Note that for each command you can learn more about the options it supports by supplying the –help flag. Returns the number of results for a search query. By default it will only download 1,000 results, if you want to download more look at the –limit flag. This is the command that you should be using the most, since it lets you save your results and process them afterwards using the parse command. Because paging through results uses query credits, it makes sense to always store searches that you’re doing so you won’t need to use query credits for a search you already did in the past. 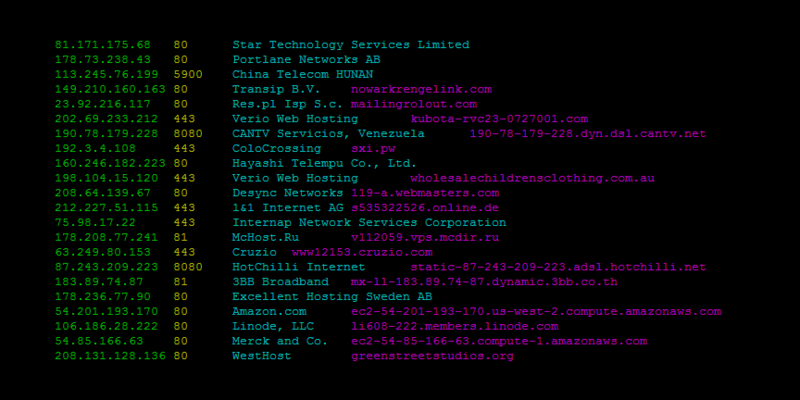 Initialize the shodan CLI. This is the first command you have to run for the tool to work, if you’re unsure about how to install the CLI please read the section above on installation. Returns your Internet-facing IP address. Coincidentally, that’s also the place where you can see the code for the tool in case you’re curious about the inner-workings. Please submit ideas for improvements and let me know via email (jmath@shodan.io) or Twitter whether this is useful to you!